What Should I Do After My Greenwood, South Carolina Car Accident? - Ayers, Smithdeal, & Bettis, P.C. What Should I Do After My Greenwood, South Carolina Car Accident? Greenwood, South Carolina, is a beautiful place to call home. The warm, sunny weather makes it an ideal place to settle if you are trying to escape the bitter winters of northern areas. You move your family into the area and love the fact that you no longer have to deal with snowstorms, sleet, and freezing rain month after month. As you enjoy your new location, you decide to venture out and learn your way around the city, and you take a drive in your neighborhood to familiarize yourself with the local scenery. While you are out touring the city, you take a local route when suddenly a car pulls out from a side street and slams into the passenger side of your sedan. What do you do after the car accident? You expect this type of thing to happen back home on icy roads, but not on a clear, sunny day. Not sure if you should file a car accident claim? Contact Ayers, Smithdeal, & Bettis, P.C. today! Call the local police or 911. After the car accident, to the extent possible, you should get out of your vehicle and move to a safe place out of the roadway and then call for assistance. This is imperative especially if you are suffering from injuries due to the accident. The police will come to the accident scene and make a police report. Exchange information with the other driver. You will need to provide your name, driver’s license number, car registration information, and insurance information. Make sure you get the other driver’s information also and collect the names, addresses, and other contact information of any witnesses on the scene. Use your smartphone to take pictures of vehicle damage. Smartphones are not just for talking and texting. Take out your phone and take pictures of the damage to your vehicle and any other cars involved in the crash. Seek medical attention. Even if feel fine, you should get an assessment from medical personnel immediately after the car accident. Many injuries do not make themselves known until a few days after the crash, so you need to have the accident documented in case you need to file a claim for medical injuries at a later time. Do not admit fault in the accident. You should never take the blame or suggest the other driver is at fault for the car accident. Do not sign anything offering to pay for damages to anyone’s vehicle. Remain calm and cooperative with the authorities as well as with the driver of the other car. Contact a personal injury attorney in your area. It is always a good idea to consult with a dedicated personal injury attorney after you are in a car accident. A lawyer will be able to explain your rights in terms of seeking compensation for your property damages and injuries from the crash. 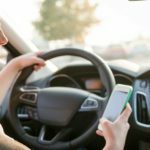 Who is At Fault in My Greenwood, South Carolina Car Accident? You can file a claim with your own car insurance company for any personal injury or property damage coverage you may have. They can also provide you with some assistance with your claim against the other driver’s insurance company. You can file a third-party claim with the insurance company of the driver responsible for the accident. You can file a personal injury suit against the other driver to receive compensation for your injuries and damages. If you take the time to schedule a consultation with a personal injury attorney, they will be able to explain what each option will entail and help you make the best decision on which option is best for you and your family. What if the Other Driver in My Greenwood, South Carolina Car Accident Does Not Have Adequate Insurance? It is also a state requirement for all drivers to carry uninsured motorist coverage. This will cover your damages and injuries if the driver of the other vehicle does not have insurance on their vehicle. If you are unsure about the applicable insurance coverage that is available to compensate you for your injuries and damages, you should consult a personal injury attorney to evaluate your case and help you receive all the compensation due to you and your family. If you or someone you love has injuries or property damage after a car accident, contact the attorneys at Ayers, Smithdeal & Bettis for help with your case. We are here to help you receive the compensation you deserve and need to recover from your injuries and repair your property. Our attorneys work with clients to ensure everyone receives appropriate compensation to get back on their feet. We have the experience of negotiating with insurance companies to get our clients the justice they deserve. Let us put our extensive resources to work on your behalf. We care about your well-being and your recovery process. You do not have to go through this difficult time alone. Call our office today for a no-obligation consultation so we can discuss the specifics of your case and how we can help you in your time of need.